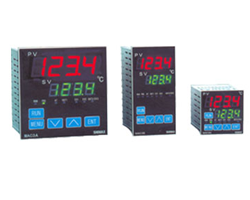 Temperature Controllers are built as per international standards. We can also supply Thermostats and Regulator switches for controlling Heaters and Heating elements. » Made to DIN Standards. » Available in different calibration ranges like J, K, T, E, R and PT-100. » Available in ON-OFF, PD, Single and Double set point. Proximity switches are mainly used in industrialized equipment and security systems. Here, you will find different types of proximity switches. We provide inductive proximity switches in different price range as well as in the models. Photoelectric sensors use a ray of light to discover the existence or absence of an object. All the products provided by us are exclusively made and have all the attributes that should be present in every good quality product. Eventually, our company is a prestigious name in the photoelectric sensors manufacturers and suppliers in India. » Sensing Range 1.5 mm to 20 mm flush/ Non-flush 2 - Wire AC, 2 Wire DC, Inductive Proximity Sensors. » Size M 12, M18, M 30. 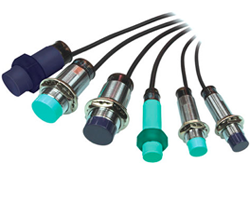 » Inductive proximity sensors analog output M 18 Sn-6mm Output 0 to 10 VDC. » DECOUT-PNP, NPN, NO, NC Factory Set. » Photoelectric (Optical Diffused) Sensors. » Diffused Beam Upto 600 mm. » Retroreflective Beam Upto 4 meters. » Available in different shape like slot, rectangular and cylinderical.